I don't know about you, but I love lime green, Annette made this adorable card with the new Mustache Mania set letting you know how much she loves Mustaches.. she checked NO to shave it!! LOVE the fun colors on this card too..
Laurel has used the Hey Cupcake set to make a card that can be used for a few different occasions. Always handy to have an all occasion card on hand. 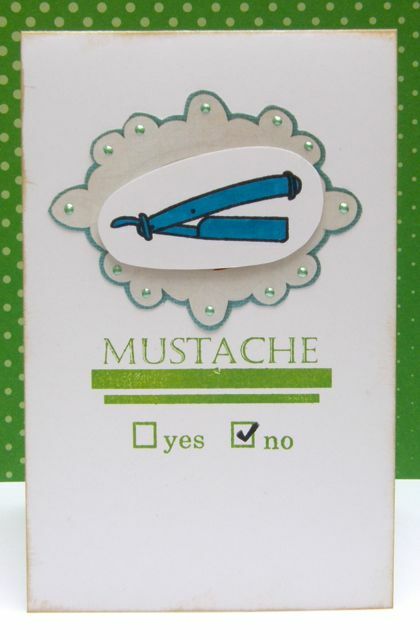 I love the patterned paper, and the fun sewing.. those blue words make this card extra fun!